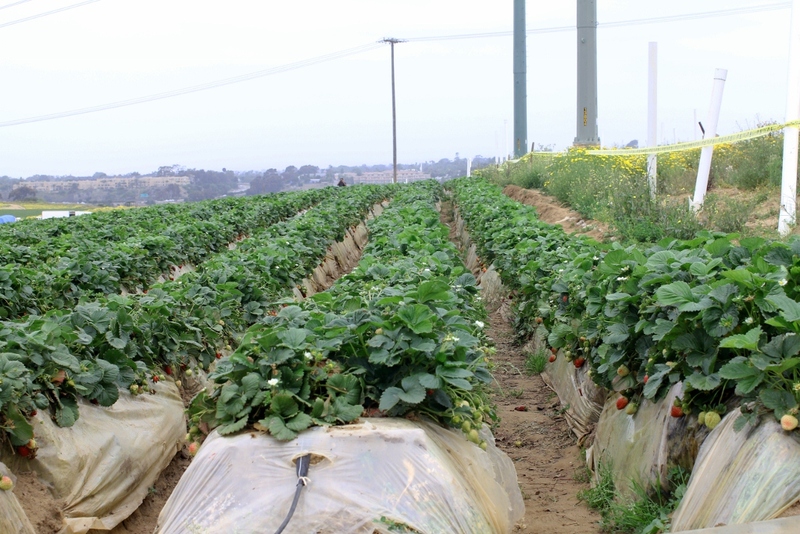 Vu and I spent Mother’s Day picking strawberries at the Carlsbad Strawberry Company. I was surprised to see such a big crowd! I thought people would be home preparing for BBQs or taking their moms and grandmas to brunch but there were many families with kids. 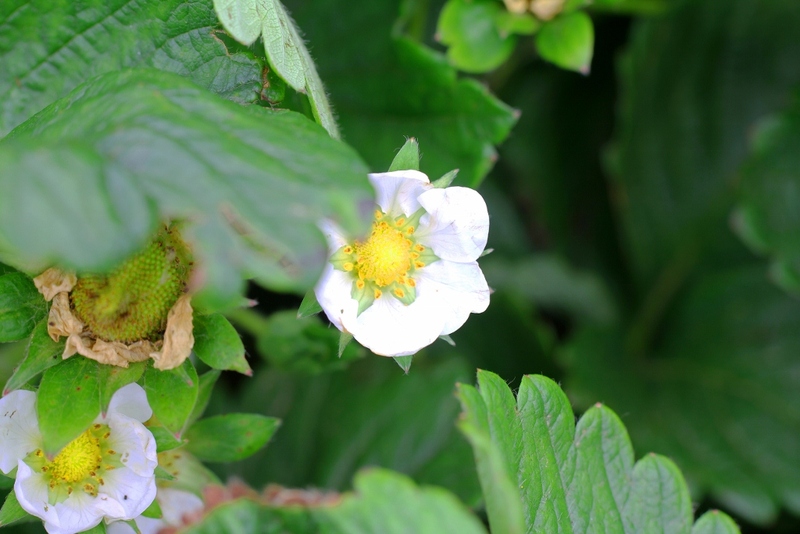 Vu leisurely roamed the strawberry field and snapped pictures while I was running around with excitement, jumping from one strawberry row to the next whenever my eyes caught some good ones. It took me two hours to fill up my bucket. Then again I was being very selective, choosing smaller ones with a deep red color. 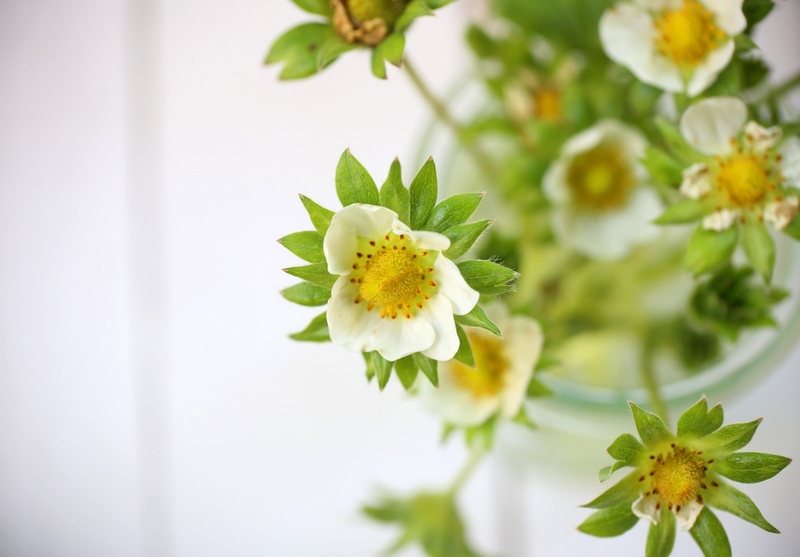 They tasted sweeter than the larger strawberries. We left by noon because the sun was high in the sky and my back was starting to hurt. 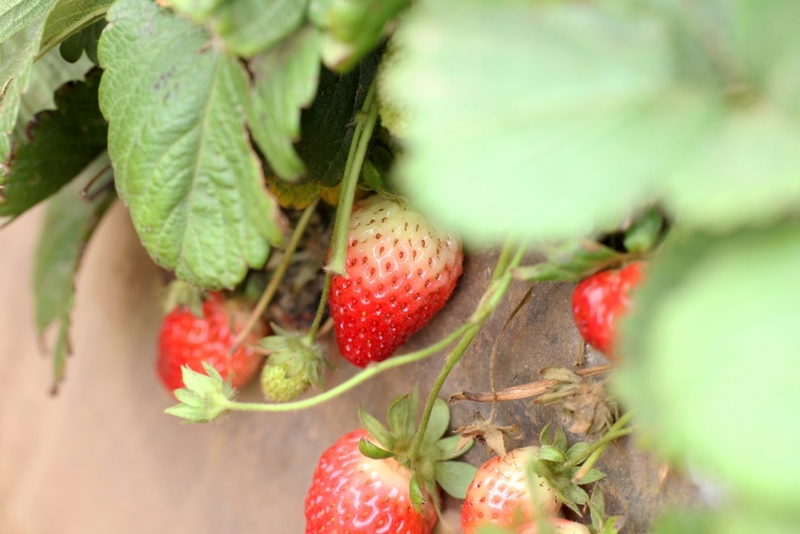 We definitely gained a new appreciation for these labor intensive strawberries! 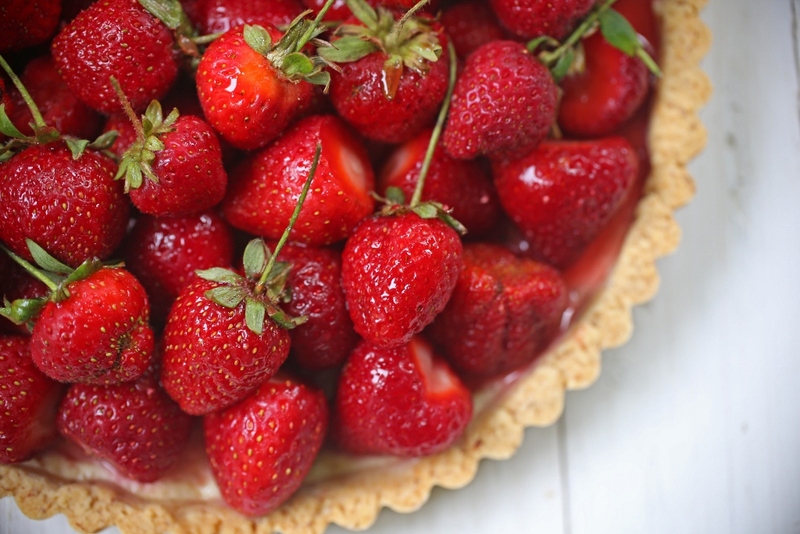 When we got home, I pulled all my dessert books to find the perfect recipe for these wonderful strawberries. With a freshly made batch of ricotta cheese from the night before, I was debating between a strawberry tart and cheesecake. The cheesecake would take forever to set in the fridge so I went with the tart. 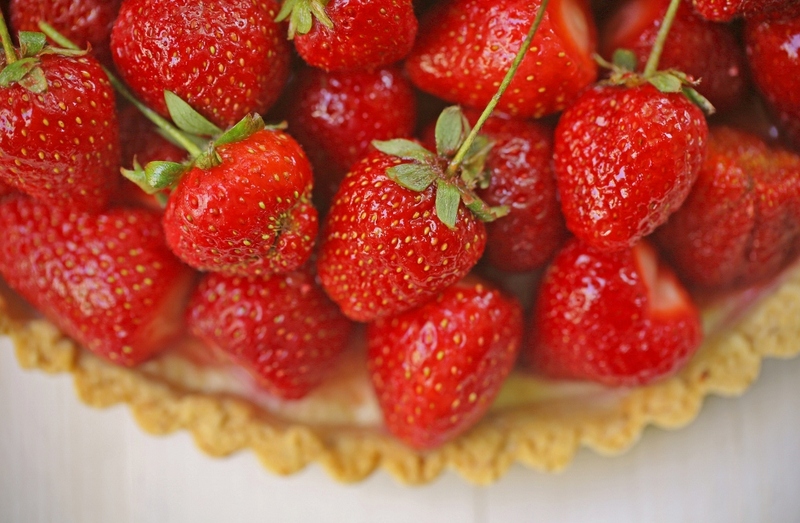 I found the perfect recipe from Donna Hay’s Seasons, strawberry ricotta tart. I made some minor changes since I didn’t have some of the ingredients at my disposal. Both Vu and I were pleasantly surprised at how light and perfect the tart turned out. 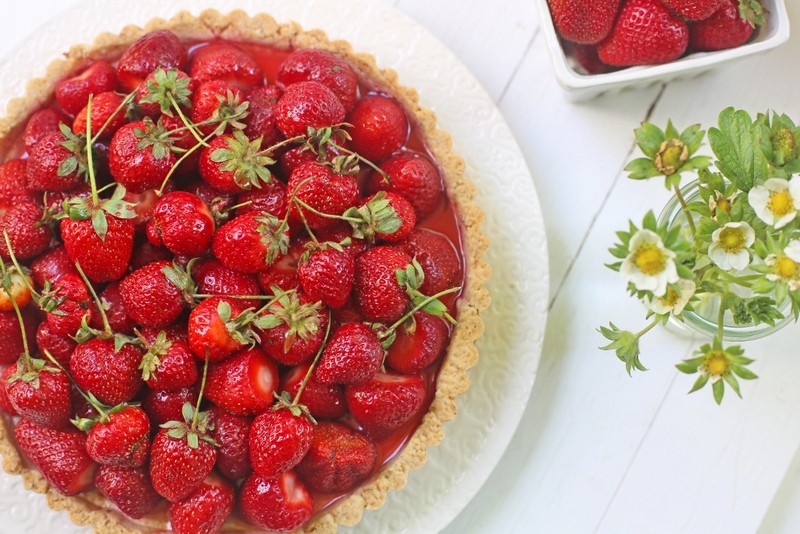 A nutty crust with a light ricotta filling topped with fresh strawberries! What more can you ask for! Besides the strawberry ricotta tart, I also made strawberry lemonade, chocolate covered strawberries, and strawberry ice cream. No strawberries were wasted. You’ll have to wait until my next posts! These strawberries were definitely worth the labor! 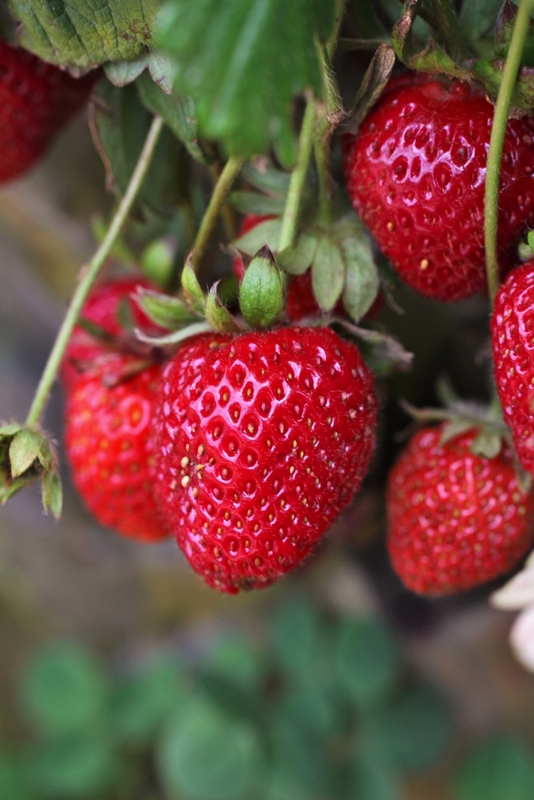 I am dreaming of the day when I can grow my own strawberry patch in my backyard. 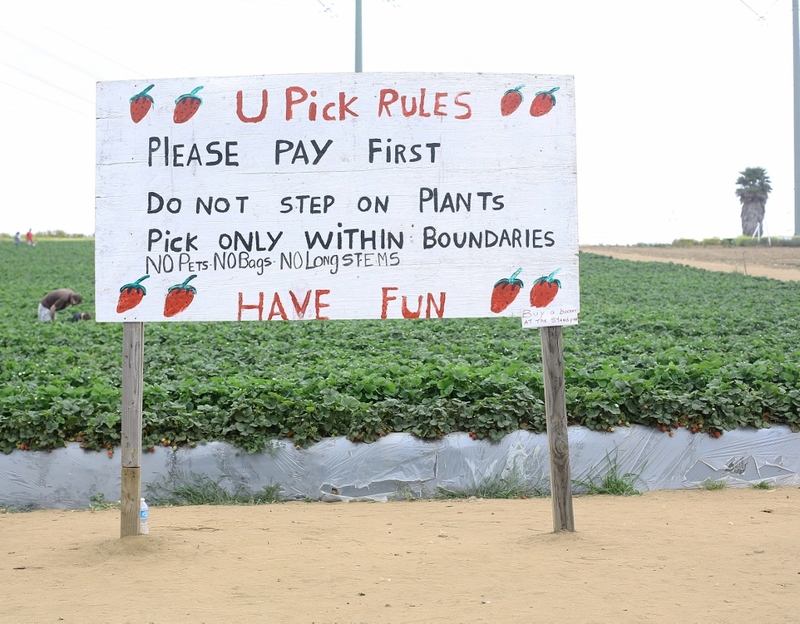 Until then, I might go back to the u-pick strawberries a few more times. 2. Roll out the dough onto a floured surface to ¼ inch thickness. 3. Line a 9.5 inch tart pan with dough and trim the excess. Save the extra dough for future use. 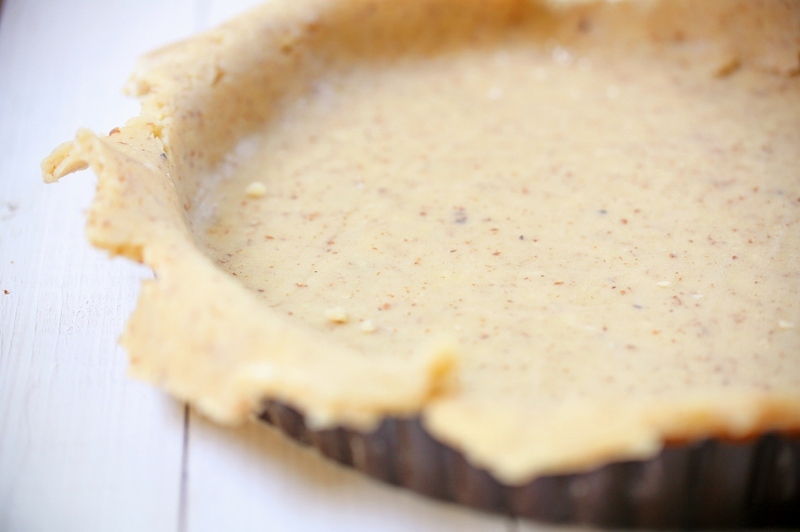 Cover the tart with plastic wrap and chill for 30 minutes. 4. 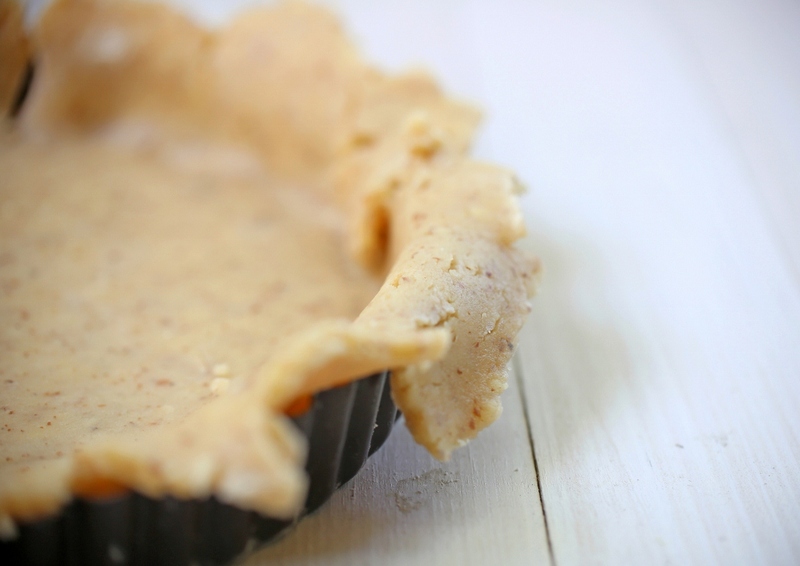 Remove the plastic wrap and line the tart with parchment paper. Fill with baking weights (you can use rice or beans if you do not have any baking weights). 5. Bake for 20 minutes. Remove the weights and bake for another 10 minutes until the pastry is golden. Let it cool for 15 minutes while you prepare the filling. 6. Place the ricotta, sugar, egg, and vanilla in a stand mixture and whisk on low speed until smooth. 7. 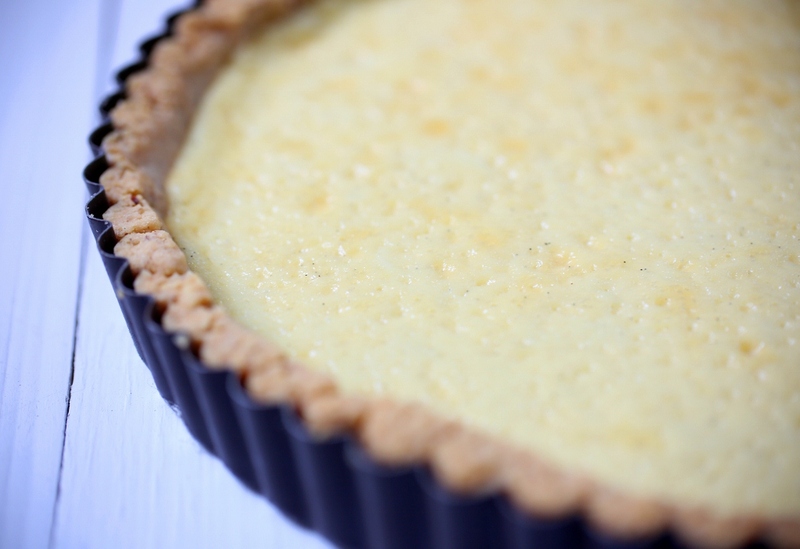 Spread the ricotta filling over the cooled tart and bake for 20-25 minutes or until set. Let it cool to room temperature. 8. Whisk the orange juice and honey together in a medium bowl. 10. Place the strawberries in the bowl and toss to coat. 11. 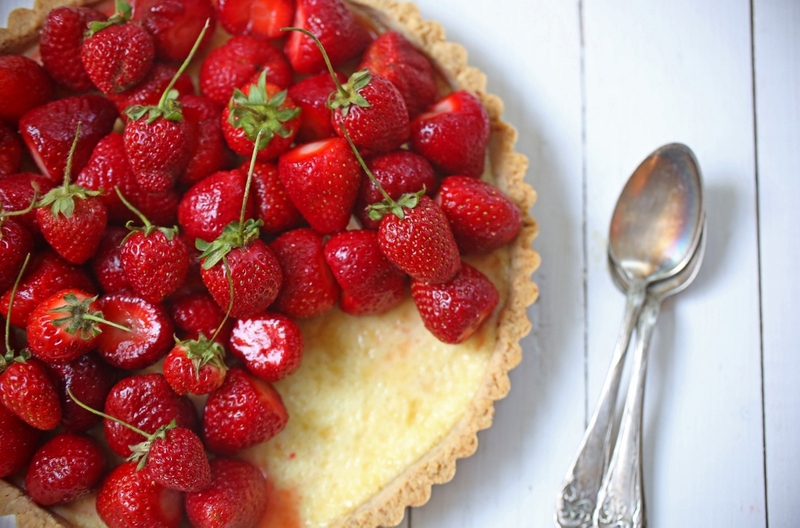 When ready to serve, fill the cooled tart with strawberries. 1. 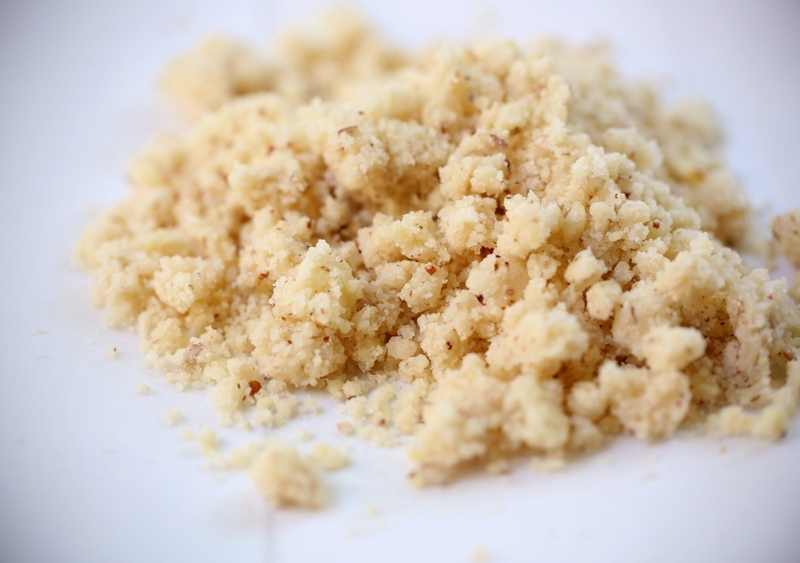 Place the flour, almond meal, sugar, and butter in a food processor and process until the mixture resembles coarse breadcrumbs. 2. While the mixture is being processed, gradually add water until the dough comes together. 4. Wrap in plastic wrap and chill for 30 minutes before rolling.